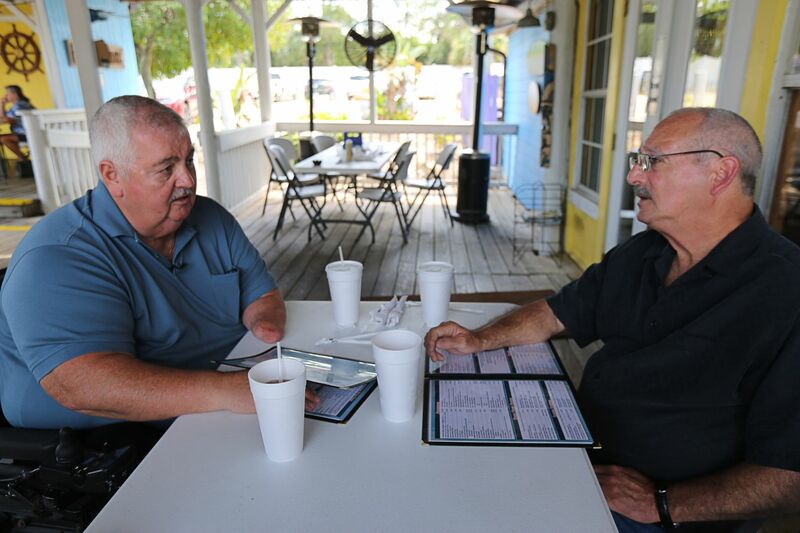 COCOA, Fla. — Dennis Joyner had to wait 50 years to thank the man who saved his life in Vietnam. Joyner, a Longwood, Fla., resident who is now 70, was a 20-year-old infantryman with a wife and newborn son on June 26, 1969, when he tripped a land mine while on patrol. The explosion blew off one of his legs and shredded the other so badly it had to be amputated. It took off his left arm below the elbow. On that afternoon in the Mekong Delta jungle, Joyner — a former high school quarterback and baseball pitcher — had been ordered to walk point, leading the way along a narrow path. Maybe he stepped on something. Maybe there was a booby-trapped branch he had brushed aside. Both men divorced and remarried. Both had children — Joyner three and Hayes four. But while Joyner searched and found several of the soldiers from his unit, Hayes never looked. When a fellow infantryman wrote him last fall on Joyner’s behalf, Hayes almost threw it away.